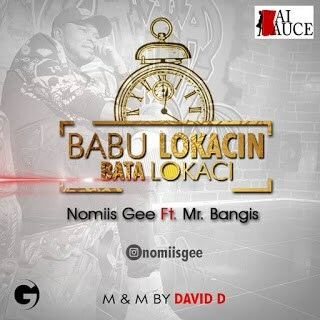 Description: Exclusively released under the stables of Kai Kauce Music is Nomiis Gee’s heart warming single titled “Babu Lokacin Bata Lokaci”. The song is a mid-tempo song that relates the need for everyone to know how important time is in our own lives. The song has a deep message and it is a must listen for any good music lover. The song translates into “There’s no time to waste time”. After the previous release of Bani 2 Fingers, Nomiis Gee no doubt has proven his versatility by releasing another conscious music. Update your playlist now with this scintillating song titled “Babu Lokacin Bata Lokaci“. The song was Mixed and Mastered by the respected and exceptional David D.